This planter took me about two days since I am relatively new to woodworking. I never had a pocket screw jig at the time but it would have been very useful for building the top trim. The stain makes it look great, all my friends love it. 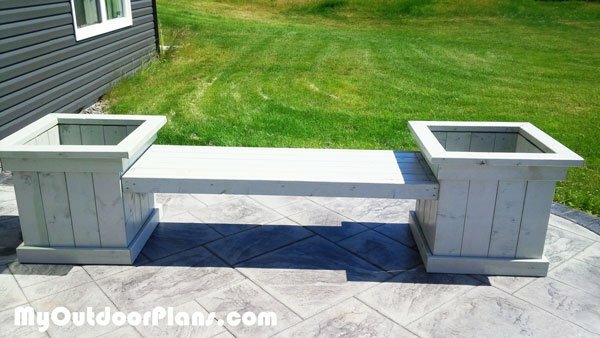 I have one now and built the smaller bench planter from this site and it worked out very well.